What's the key to using alternative energy, like solar and wind? Storage -- so we can have power on tap even when the sun's not out and the wind's not blowing. 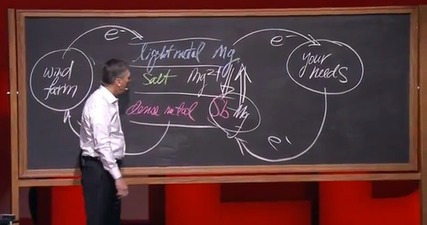 In this accessible, inspiring talk, Donald Sadoway takes to the blackboard to show us the future of large-scale batteries that store renewable energy. As he says: "We need to think about the problem differently. We need to think big. We need to think cheap."